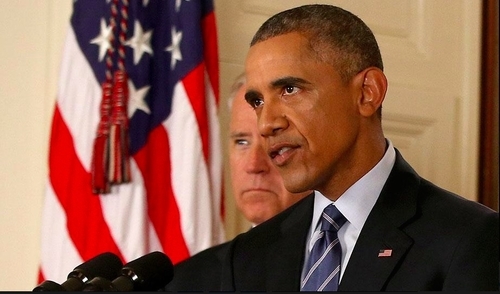 Barack Obama announcing the Iran deal on July 14. The conduct of the Iran nuclear negotiations has been wretched, with the Obama administration inconsistent, capitulating, exaggerating, and even deceitful. It forcefully demanded certain terms, then soon after conceded these same terms. Secretary of State John Kerry implausibly announced that we have "absolute knowledge" of what the Iranians have done until now in their nuclear program and therefore have no need for inspections to form a baseline. How can any adult, much less a high official, make such a statement? 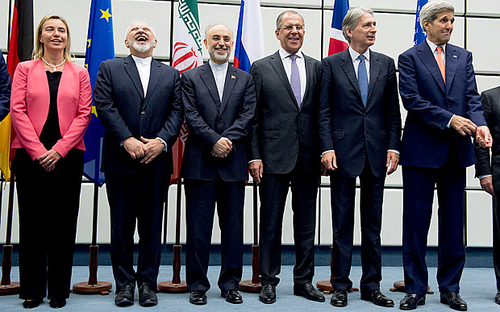 The smart guys (two Iranians) wear tie-less white shirts and look the happiest.